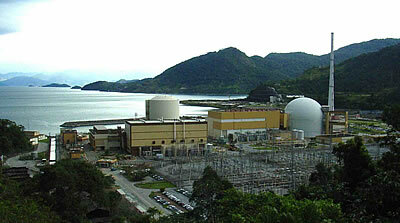 It is the first Documentary made about the Brazil's nuclear power plants, Angra 1 and Angra 2 in the Atlantic Rainforest region in the South of Rio de Janeiro. With ironic humor, it shows that the official safety and evacuation plans to protect the local population and tourists in case of a nuclear meltdown are just a joke. Worse: Angra 1 and 2 are constructed on a beach, which the indigenous population (Guarani-Mbyá) called once Itaorna: Rotten Rock.